Each year a few ideas get proposed at the state Capitol that have people shaking their heads.This year: Mandatory church attendance.An Arizona state senator thinks it is a good idea for the American people.State Sen. Sylvia Allen, R-Snowflake, brought it up during a committee meeting Tuesday while lawmakers were debating a gun bill concerning concealed weapons permits, not religion.Allen explained that without a "moral rebirth" in the country, more people may feel the need to carry a weapon. "I believe what's happening to our country is that there's a moral erosion of the soul of America," she said. "It's the soul that is corrupt. How we get back to a moral rebirth I don't know. Since we are slowly eroding religion at every opportunity that we have. Probably we should be debating a bill requiring every American to attend a church of their choice on Sunday to see if we can get back to having a moral rebirth," she told the committee. "But since that would not be allowed and we would not even be debating that, I'm going to vote yes that people who are responsible who have a CCW permit don't have to worry about their guns as they're out and about and doing business in whatever building they're in except ones that where they aren't allowed," she said.Democratic Sen. Steve Farley of Tucson, who was at that same meeting, posted Allen's comments on social media, and said he believes the idea goes against the U.S. Constitution. 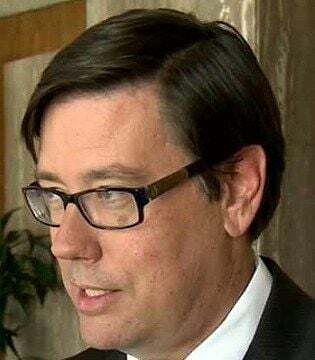 "Even if you believe that would stem the moral decay, I think the Constitution makes it very clear that our country is founded on the pillar of separation of church and state," Farley said.Copyright 2015 KPHO/KTVK (KPHO Broadcasting Corporation). All rights reserved.